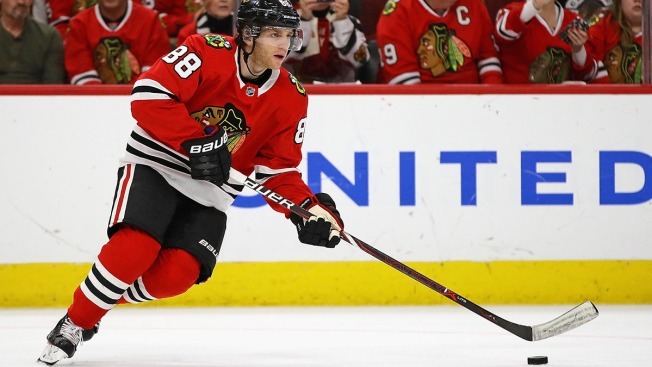 The Chicago Blackhawks won’t be in action on Tuesday night, but they could still find themselves eliminated from playoff contention by one of their divisional rivals. The Colorado Avalanche, who currently lead the Blackhawks by six points in the Western Conference Wild Card standings with three games to go in the regular season, will be home at the Pepsi Center on Tuesday night as they take on the lowly Edmonton Oilers. If the Avalanche can secure at least a point with a victory or an overtime loss, they will eliminate the Blackhawks from playoff contention, ensuring that Chicago will miss out on the postseason for the second consecutive season. Even if Colorado loses the game, the Blackhawks would still need a lot of help in order to reach the playoffs. The Blackhawks would need to win all three of their remaining games, the Avalanche would need to lose their final three games, and even that scenario wouldn’t be enough. The Blackhawks would also need to leapfrog the Minnesota Wild, who currently lead them by one point and have a tiebreaker in hand over Chicago, and the Arizona Coyotes, who lead the Blackhawks by four points with three games remaining. If all of that occurs, then the Blackhawks would snake into a playoff spot, and would draw the Calgary Flames in the first round of the playoffs, as the Flames will have the best record in the West at the conclusion of the campaign. For those interested in watching Colorado’s game Tuesday, puck drop is scheduled for 8 p.m.